We offer convenient, durable, single-visit restorations. Missing teeth? 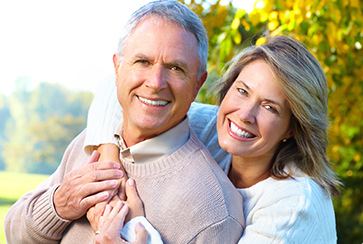 Find out what dental implants can do for your smile! We offer a range of services that can drastically improve the look of your teeth. 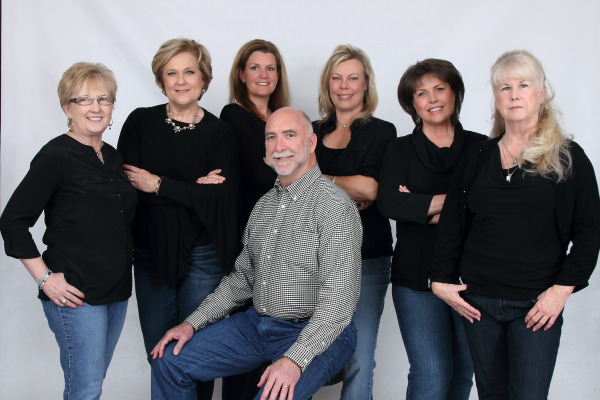 Welcome to the home of our Midlothian, TX dental office: Jerry R. Ellis, DDS, PC. Dr. Ellis and his entire team take great pride in keeping your smile beautiful and improving your overall health. We are experienced, friendly, and committed to patient satisfaction at every routine visit or treatment consultation. we want to improve the physical appearance of your smile with modern dental treatment as needed AND in a relaxed, pleasant, friendly setting. If you’re looking for a gentle dentist near you in Midlothian, we welcome you to call our office and speak to a member of our staff. Our office is located at 404 W. Main. We look forward to meeting you! Dr. Ellis and his team provide general, restorative, and cosmetic dentistry to ensure your smile is healthy and beautiful for a lifetime. We welcome patients in need of care for missing teeth, damaged teeth, or those who are interested in a friendly dentist for twice-yearly visits and ongoing care. In cases where complex treatment is required, we have developed a referral network of specialists, including periodontists for the treatment of gum disease, oral surgeons, endodontists for root canal therapy, and children’s dentists to best serve our patients’ needs. Dr. Ellis enjoys a reputation among his patients and community for highly gentle care in a relaxing environment. Patients are never pressured into a treatment plan they aren’t comfortable with. We listen to patients’ needs and ensure they feel confident in their plan for care. Best Quality Dentistry: Your Happiness is Our Focus! Our ultimate goal is to make sure patients love their smiles and feel great about their oral health and appearance. With every treatment plan, we work diligently to meet your goals and serve your expectations. We even take extra precaution to reduce the risk for tooth decay and gum disease by recommending highly effective and easy to use health aids, including products that contain Xylitol. When you visit Dr. Ellis, achieving a healthy and beautiful smile is possible. Professional dental cleanings are performed by Registered Dental Hygienists. Your cleaning appointment will include a dental exam and the removal of tarter and plaque, along with tooth polishing. 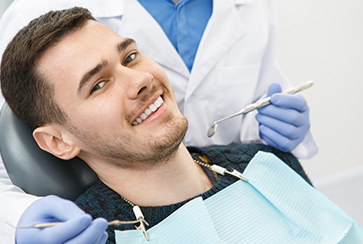 If you've been living with damaged teeth and a flawed smile, you're not stuck; there are treatments available that can correct oral health problems and drastically improve the appearance of your teeth. Dr. Ellis' Midlothian, TX cosmetic dental office is here to help you achieve a brighter and healthier smile. Dental implants have given patients with missing teeth the ability to enjoy renewed oral health, as well as the confidence that comes with teeth that look and feel natural. Implants do not require special daily maintenance and allow you to eat all of your favorite foods once again. My first visit....outstanding! Drove all the way from Irving....beyond well worth it! You will look forward going to the dentist once you try Dr. Ellis! I have been a patient of Dr. Ellis for more years than you need to know! The service I have received over the years has been fantastic. Everyone is kind, caring, and diligent in their service to the patient. I highly recommend Dr. Ellis and his team for any of your dental and hygienic needs. You will not be disappointed! Family dentistry at its very best plus a delightful place to visit! Genuine, caring and brilliant staff focused on you—how refreshing! And Dr. Ellis: A man of impeccable character. That’s the difference.